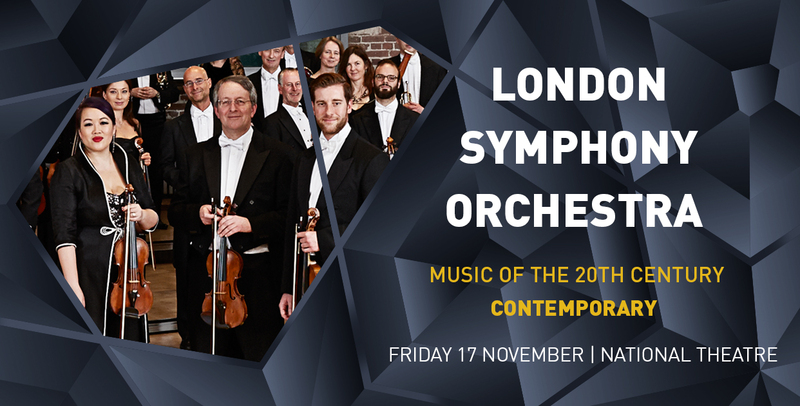 London Symphony Orchestra was established in 1904, with the intention of introducing the finest forms of music to the largest number of audiences. Since then, it has stayed true to its message, in its own unique and unparalleled way. Throughout the year, the orchestra gives 70 annual performances in the Barbican Centre in London, its main performance hall, in addition to the tours around Britain and the world. Dress code is Formal: (Formal Suit or Dishdasha with Githra) No jeans, sports clothes are allowed. No photography is allowed during the event. NO food or drinks are permitted inside the auditorium. NO cameras, phones, or video recordings are allowed to be used during the show. The age limit indicated on the show ticket must be respected. NO exchange or refunds are permitted unless the event is cancelled or postponed. Only tickets sold via our official sales channels shall be honored. Tickets may not be resold or offered for resale under any circumstances. Tickets shared over social media with the barcode visible before the start of the show may be cancelled. Anytime during the show, and for any reason, should the ticketholder decide to exit the venue, a re-entry may not be granted to the auditorium due to security reasons. Auditorium doors will close at the time indicated on the ticket. Late entries will not be allowed except during the intermission. Neither the promoter nor the venue can accept responsibility for lost or stolen items. Violating any of the above terms and conditions grants us the right to cancel your tickets without refund and deny you from attending or continuing the show.